I have been using the Human Nature Perfect Coverage Mineral Foundation for a couple of weeks now and I must say that this is one of the best foundations I’ve used thus far. I like it because it delivers what it promises: a velvety matte finish that makes the skin look perfect, glowing, and healthy. I tend to have oily skin, so the velvety matte finish really satisfies my desire for a fresh-faced look. The vanilla shade matches my skin tone perfectly, too. This product is made with multi-functional rice powder, bamboo powder, and Vitamin E. It has no harmful chemicals so I feel secure that this will help me achieve damage-free skin in the years to come. The vanilla shade matches my skin tone perfectly. 1. 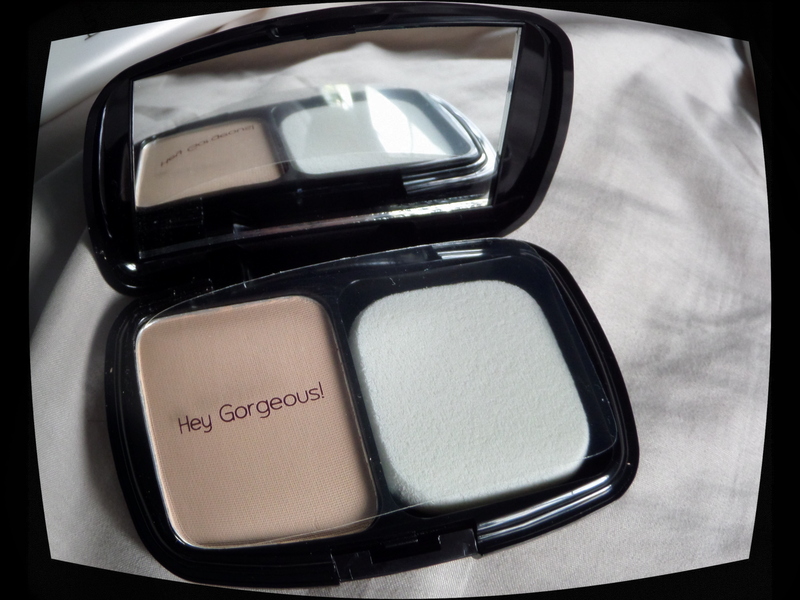 I use it with my favorite CC cream from Korea, and the HN foundation blends quite well with it. 2. The mirror is big enough to let me see my progress while I apply this product on my face. 3. There’s a special compartment for the sponge, and another for the product itself. It’s very sanitary because it keeps the product clean. 4. There’s no weird smell. 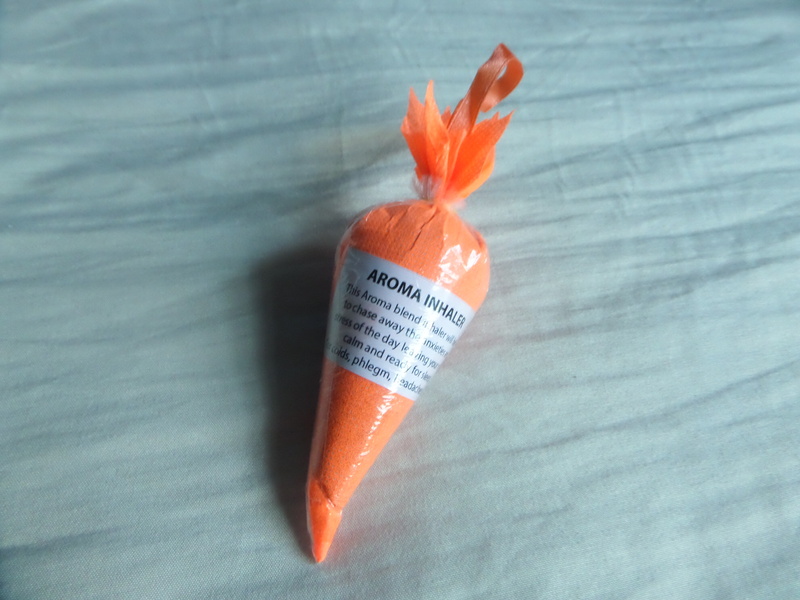 It’s close to fragrance-free, so it’s very comfortable to use. 5. The first time you open it, the clear plastic protector is inscribed with the words, “Hey, gorgeous!”, which is a very nice and thoughtful touch. I smiled the first time I saw it, and I still do whenever I open my HN foundation every morning. Highly recommended beauty product! I will keep using this in the years to come. Human Nature products which I asked a relative (who’s a dealer) to buy for me. I got huge savings because of it! 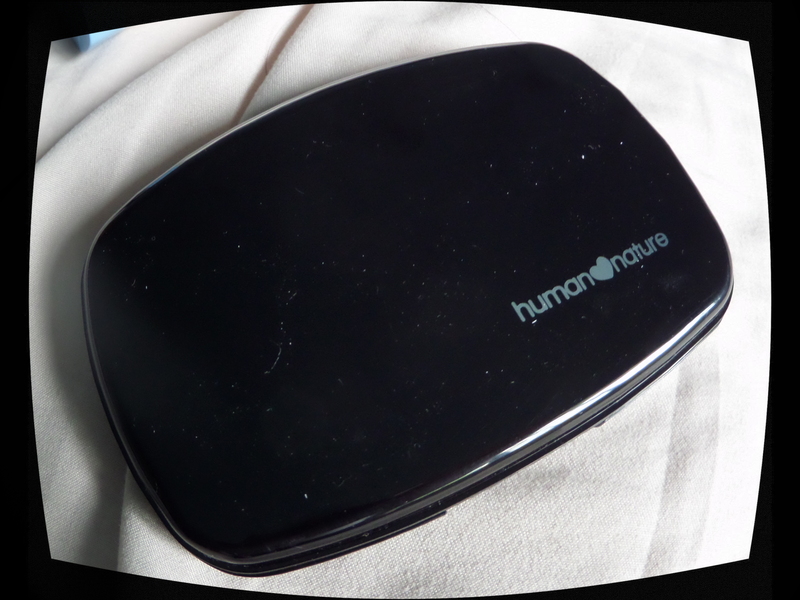 No doubt that Human Nature products are affordable. It’s almost the same price as regular store brands. And if you compare it to the prices of other organic and natural beauty products, you’ll realize that it tends to be significantly cheaper. But if you’re like me who always looks for value-for-money deals and ways to stretch my peso, I’m sure you also found ways to enjoy your favorite organic and natural products without spending too much. Because let’s face it, although something may be cheap or affordable enough, when there are just too many interesting things to buy from a certain brand, the cost tends to pile up. I’m sharing with you some of my ways of saving. 1. Watch for promos at supermarkets or department stores. Sometimes, a big bottle of facial wash will come with a small bottle of lotion. Instant freebie, instant savings! And this lotion, you can use at the office where the air-conditioning tends to dry your hands, or while traveling when you have to travel light. 2. Watch for promos at the Human Nature website. Again, instant freebies and instant savings. And when you spend more than PHP2000, you get free shipping, too. A good strategy would be to pool you and your friends’ purchases to avail of this free shipping. 3. If you have a friend or relative who is a Human Nature dealer, ask her or him to buy products on your behalf. I have a relative who’s like this, and asking her to buy for me gives me huge savings. She doesn’t really sell stuff per se, but she uses her account to buy products for herself and her whole family. She gets to buy more, and I get more savings. It’s a win-win situation. How about you? What are your savings tips? Do share! Bedtime has been very pleasant lately because of this aroma inhaler from Good Shepherd Baguio. Whenever I’d enter my room, I’d smell this fresh and clean scent and instantly feel calm and ready for sleep. It’s made from natural plants so it’s surely way better than synthetic ones from the supermarket. I don’t feel paranoid that I’m inhaling something bad for my health. I’m glad I bought this Good Shepherd aroma inhaler while I was vacationing in Baguio City. I wish I bought more, though. For those not familiar with Baguio City, it’s considered the summer capital of the Philippines. North of Manila, it’s a mountainous place (think of a mountainous place like Seoul) that’s full of fresh flowers, pine trees, vegetables, and strawberries. Plus, because of it’s location, it’s cool there, too. Good Shepherd Baguio is where you can buy goodies like breads, cookies, jams, and other stuff for the benefit of Cordillera students on scholarship. It is run by nuns. Buying stuff from here is a win-win situation: You get good quality foods and other things, and the students and nuns get to live better lives. The funny thing was, I bought this gugo shampoo while on vacation in Baguio, thinking that it was a Baguio product. What was I thinking? For one, I was thinking how much I needed to re-stock on shampoo pronto. Two, I was determined to buy a natural product. Three, I’ve always wanted to try gugo shampoo since I was a kid, except that the gugo that I saw decades ago was very raw and scary. Four, this bottled version seemed friendly. And last but not least, I bought a bottle because I wanted to help the folks at Good Shepherd in Baguio. But as soon as I examined the fine print at the back, it turns out to be a product from (ta-daaah!) Antipolo City! Don’t get me wrong through. Although I almost regretted buying this product, using it made me change my mind. It’s actually a good product. I’ve been using it for more than a month now, and I’m pretty happy about it. 1. It has a very rich formula, as evidenced by the thickness of the liquid. It’s not runny, but a rich, gooey brown that assures us that the manufacturers didn’t scrimp on ingredients. 2. It lathers up quite nicely, so we can imagine how it cleans our hair thoroughly. 3. It leaves my hair soft, even without using conditioner. I’m happy that it does the job of cleaning my hair without stripping it off its natural oils. 4. It leaves a faint gugo scent on one’s head. The smell isn’t for everyone. It’s not as fragrant as flowers, but I don’t mind since the smell isn’t overpowering nor disgusting. It’s just…a smell that we can live with. 5. 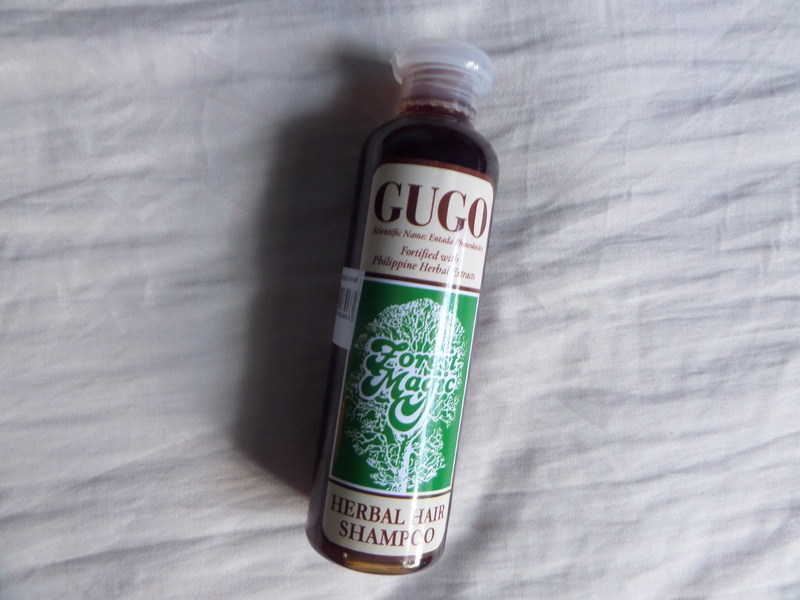 Gugo shampoo is supposed to be a great remedy for thinning hair. It’s also supposedly good for preventing dandruff. As for thinning hair issues, I can’t say much since I’m not balding yet. For preventing dandruff, I suppose it works since my hair has felt soft and squeaky clean since I used this Forest Magic gugo shampoo. I saw this interesting video on how Asia’s air pollution spreads across Earth. I’m posting this here because I live in Asia—and a tropical country at that! And when you watch Hollywood disaster movies from recent years, tropical countries like the Philippines almost always gets immediately wiped out when doomsday comes. Not only are we vulnerable in Hollywood, we are vulnerable in real life, as well. Case in point: Stronger typhoons in the Philippines year after year. Onday. Haiyan. What’s next? this video from NASA’s Goddard Space Flight Center, taken from 2006 to 2007, shows how aerosols travel via wind patterns across the planet. This results to stronger cyclones especially in tropical countries. How? When more water condenses onto the increased aerosols, this action releases more energy and eventually creates stronger Pacific storms. This coffee by Cafe by the Ruins is made special by the shell-shaped sugar that comes with it. I thought it was a cookie, but it turned out to be some form of brown sugar. 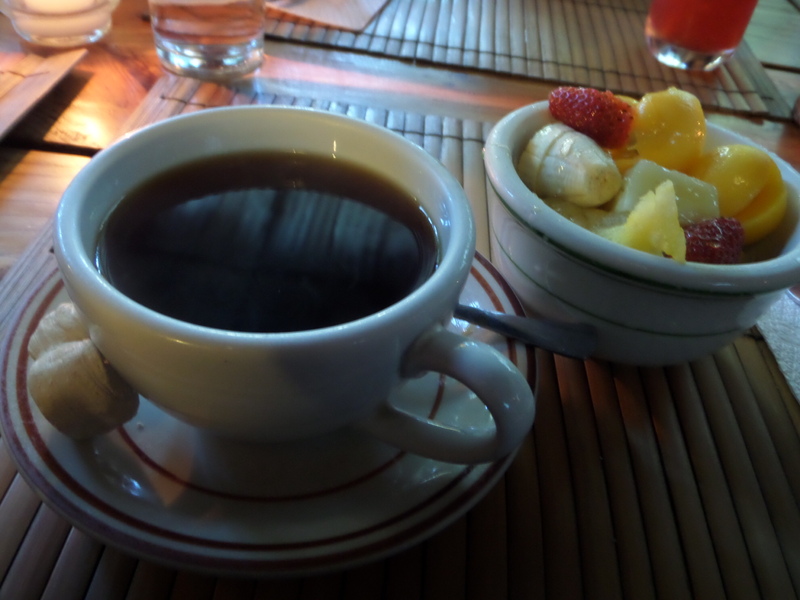 Just drop it gingerly on your cup, stir, and enjoy! Or, you can do as I did — I pretended it was a cookie and I turned it into “dessert”! This hot chocolate drink, called tskokolate de batirol, is an old fashioned way of serving our favorite cold weather drink. It is made by manually mixing and stirring real cacao balls from a special wooden stick called “batirol”. 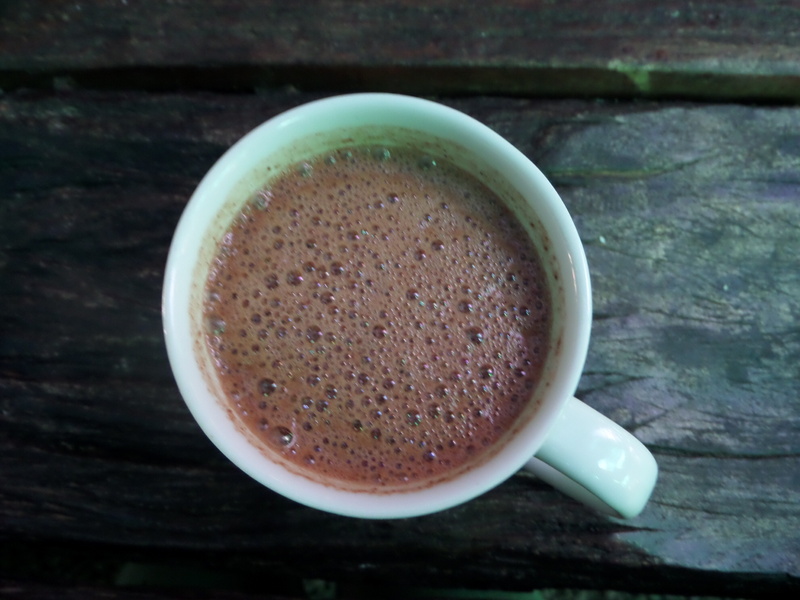 When in Baguio, don’t forget to visit this place named after this well-loved chocolate drink at Camp John Hay! 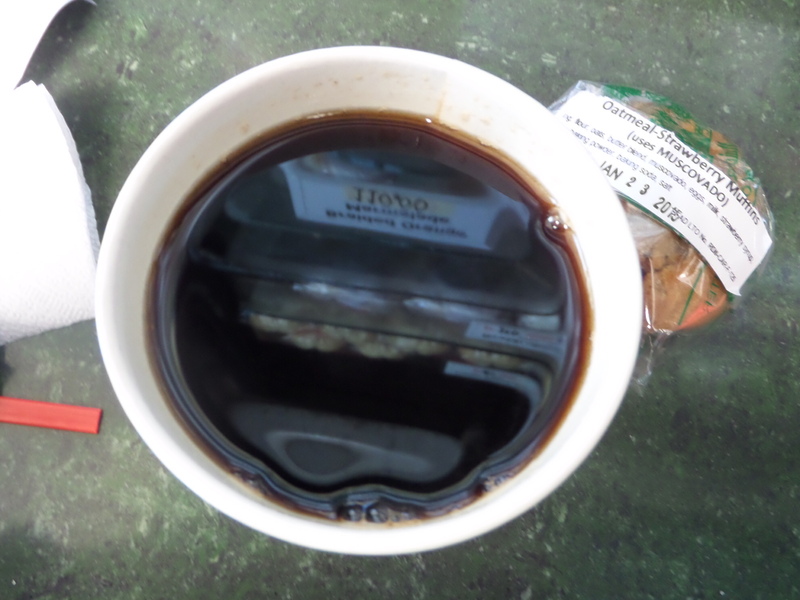 I got a cup of civet coffee, supposedly the priciest coffee in the planet, for 100 pesos from Good Shepherd in Baguio. I didn’t get it from a fancy cup, just a normal paper cup, but it tasted…oddly…weird. It was good, but weird. I paired it with Good Shepherd’s oatmeal and strawberry muffin, which was one of the most authentic-tasting oatmeal muffins I’ve tried thus far. They didn’t scrimp on the oatmeal and molasses so the 25 pesos that I parted with was money well-spent! 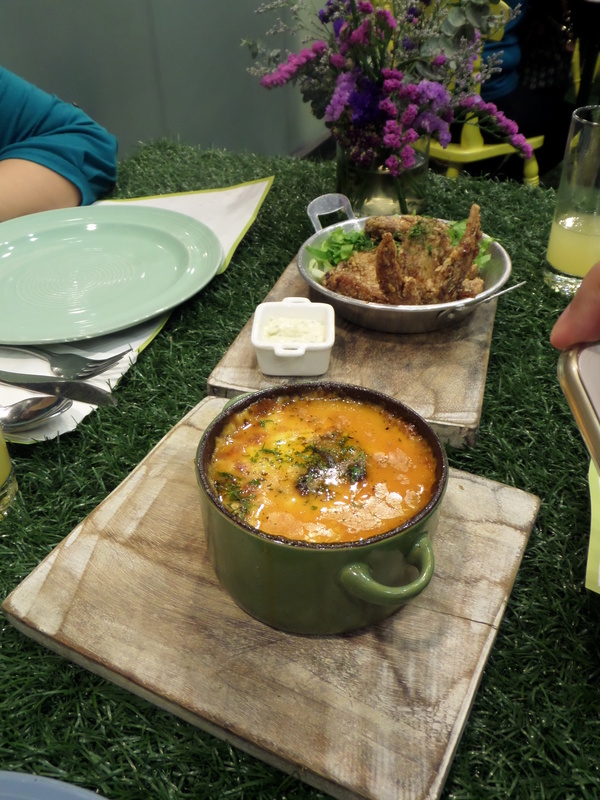 Clean Plate is one of the newest additions to the food haven that is the UP Town Center in Quezon City, Philippines. 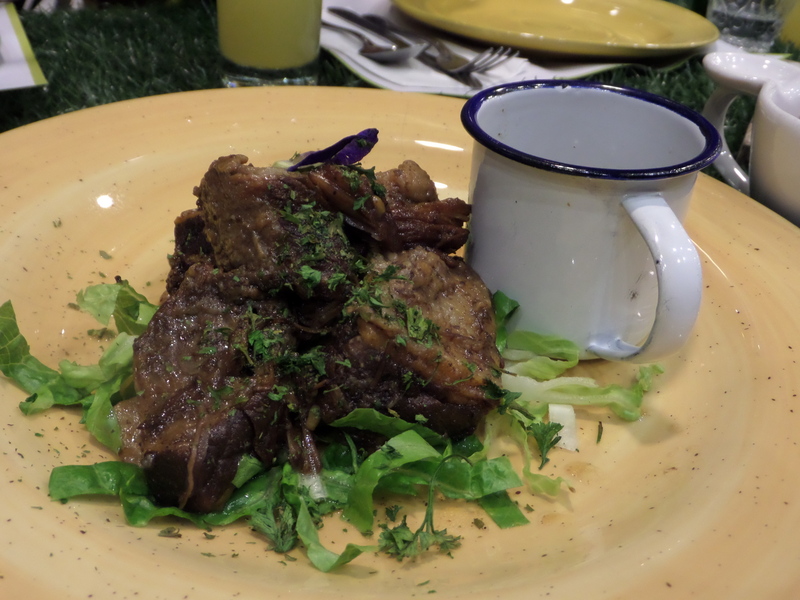 What differentiates it from the other restaurants in this joint is that Clean Plate is a green restaurant that serves sustainable and healthy dishes. Ingredients are chemical-free and fresh. And portions are big enough for one person so you can really literally have a clean plate when you finish your food. Your dining experience is also made fun and exciting with this grass-topped dining table. So far, Clean Plate is the only restaurant I’ve seen with this kind of furniture. You really feel the fresh vibe of this restaurant with something as cool as this. Clean Plate restaurant in UP Town Center has this unique grass-topped dining table that makes eating fun. In this pic are free-range chicken and eggplant parmigiana and free-range chicken wings. Food tends to be on the pricey side, which the restaurant tries to justify by making you do the math with the health benefits of buying chemical-free and natural ingredients versus contacting cancer or some other disease by buying commercially manufactured and mass-produced food. Honey beef belly roast that’s so tender and tasty. The beef is grass-fed. The sauce is made with coco-honey reduction. Be sure to pour this sauce generously over the beef before eating for maximum taste. One of my favorites! Ragu, a light but filling pasta dish made from organic wheat pasta, grass-fed ground beef, pomodoro, and goat’s milk cream. A must-try! You know what, I forgot what this dish is called. 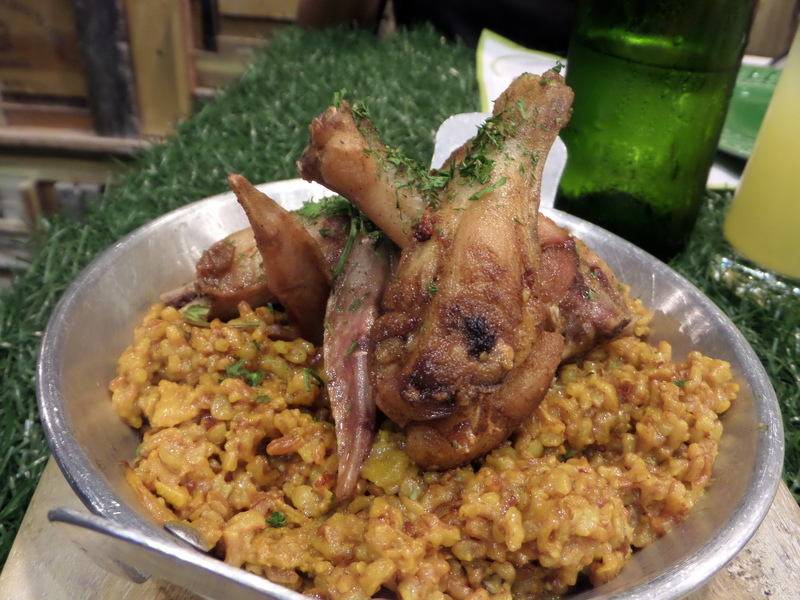 But I fondly recall it as a delicious twist to our usual paella. The rice is moist and tasty like paella (or is it risotto?) so I know that it was carefully cooked. The chicken is fried to perfection and compliments the rice-based dish well. 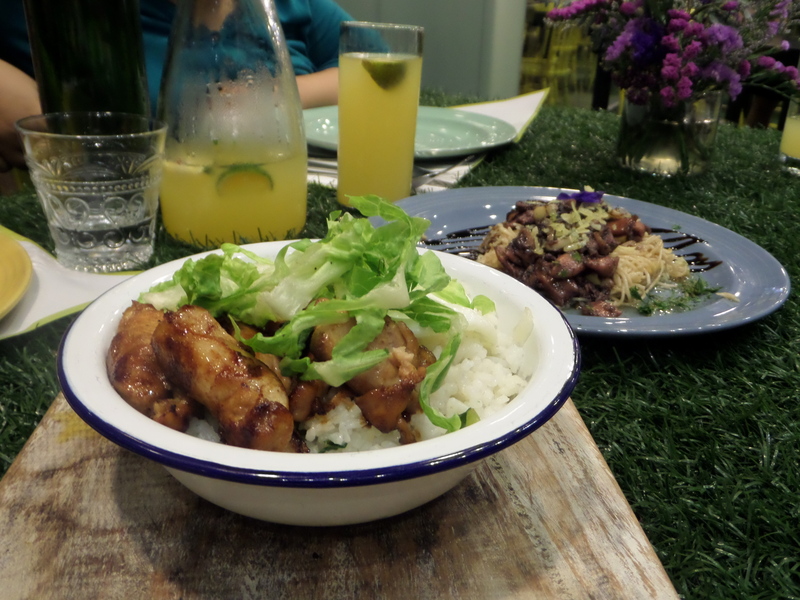 Pro-biotic chicken tocino, which basically means that this chicken was raised the healthy way. 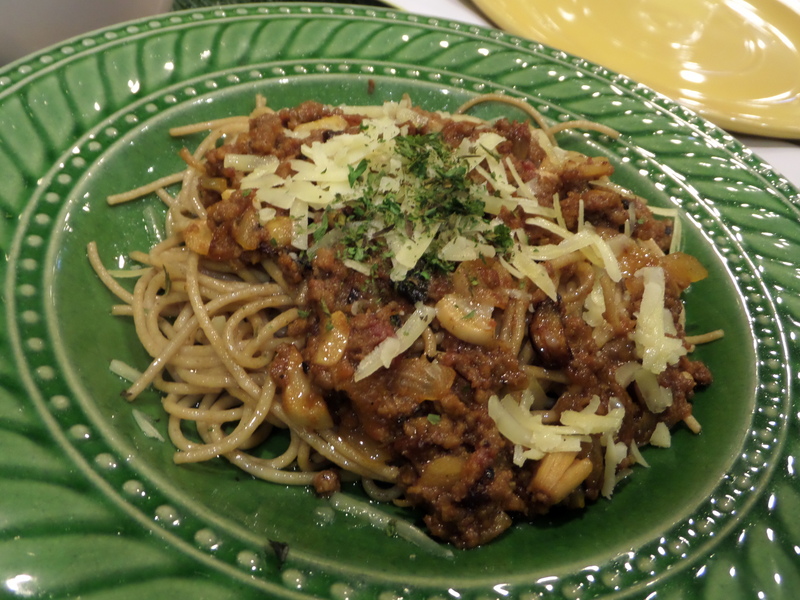 And then here’s another pasta dish called Al Negra, which is organic wheat pasta generously topped with baby squid. Light, healthy, and yummy! I saw this poem the Poetry Daily e-newsletter today. I didn’t know weather can be a poetic subject after all. Well, now I know. And this poem is as moody as the weather, no? Weather as if to repeat. Weather to read a name. to feed the cats, to sleep. Go inside, weather to weep, split the maw. Plant the plants, weather to eat the dead, their roots as if to speak. over bodies, blind as blue. Weather as if to flame. Scrape the storm of its howl. Cellar as if to swarm, night as if to rot. with weather, weigh them down with skin. The dead’s steady hum, weather as if to win. Blog Action Day 2014 is about inequality. Today, I write about my vision for a world that values equality in terms of race and opportunities. As an educated Filipino woman with a double masters degree, first in Communication (Philippines) and second in Korean Studies (Korea and Thailand). I became aware of the implications of my race and the accompanying opportunities it brings (and fails to bring) when I was an international student in Thailand and Korea. After I graduated from my second master’s degree, I began to have this sinking feeling that my double masters is also a double whammy – that of being Asian (and a Filipino at that!) and that of being a woman. 1. Conveniently ignored in international job applications despite my credentials. Between a Caucasian person and an Asian person with stellar CVs, skin color becomes the perceived accurate predictor of English language ability and suitability for the job. The Filipino woman’s stereotype as a domestic helper doesn’t help, either. 2. Experienced having my passport scrutinized at airport counters despite having a valid education visa. This more often happened in Korea rather than in Thailand. More often than not, I felt that staff often eyed me and my passport with suspicion. Observing white people in airports, this doesn’t seem to be a problem for them. They just show their passports and off they merrily go (or pass, as the case may be). While excessive scrutiny has been the extent to which I experienced discomfort, the inequality between treatment of a Filipino and a Caucasian is palpable. 3. Experienced being conveniently ignored while on an international holiday, especially in cases where white people are in one room or area with Asian (more so for Southeast Asian) people. When you’re an international student, travel and touring places is a must-do. I’ve experienced curt treatments in hostels in Thailand. Staff just give me and my fellow ASEAN travel mates the minimum politeness during our stay, whereas Caucasians are visibly pampered and lavished with attention. In Korea, me and my ASEAN-based friends experienced being semi-politely turned away in a job fair in school, whereas our Caucasian counterparts were given more chances to converse with recruiters and explore opportunities. 1. Asians value fellow Asians as much as Caucasians. I find it ironic that I am of the same race as Thai and Korean people, but am often put at the bottom of a hierarchy. This situation, of course, is different with my Thai and Korean friends and teachers, who know me and who treat me like family. 2. Suitability for jobs are based on credentials and personality instead of skin color or stereotypes. I wish for a world where I can compete globally based on merit. I wish for a world where, when people learn that I am a Filipino woman, I will not be lumped together with the stereotype of a domestic helper. I wish to shine as I truly am. 3. Filipinos can travel comfortably without being (silently) branded as a suspicious character or a potential threat. I also wish for a world where Filipinos who truly desire to see the world can freely do so without fear or worry of being discriminated against. I wish to travel like Caucasians do, that is, how they can go in and out of beautiful exotic destinations freely and experience the pleasures and joys of learning about various cultures. I wish for this vision to become a reality. I was given the rare opportunity to learn and see the world as an international student, and I saw that the world has so much to offer to everyone. If true equality becomes a reality, then that potential to taste what the world has to offer can be equally given to everyone. I got my COMET GETPass already! I got my COMET GETPass already. I figured I might as well get one since I found myself near the COMET loading station, anyway. For 20 pesos (or around 45 cents), this card will get me from Katipunan to SM North/ Trinoma for free until October 9. After that, I will have to top-up this card so I can pay for my fare. The tap-in, tap-out system reminds me of the transport card I used in Seoul when I lived there. I used it for bus rides and for subway rides. 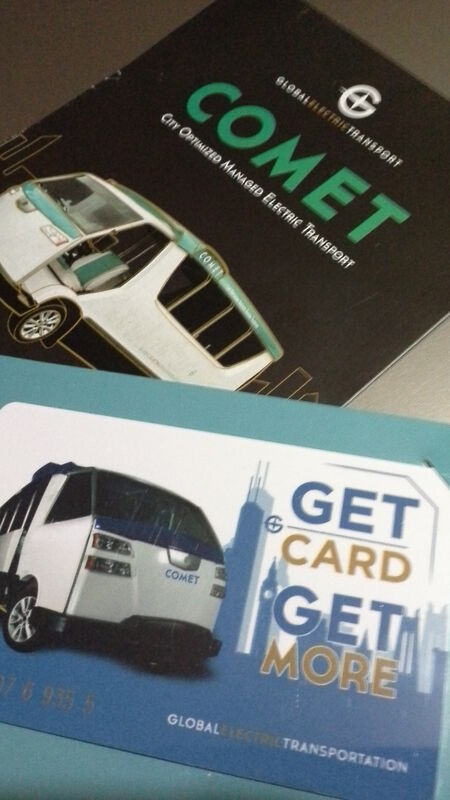 Although this COMET GETPass can only be used on the e-shuttle, it’s a gentle reminder for me that public transportation in Manila is gradually improving. I’m quite excited to use this card! I will support this because this is the kind of public transportation we deserve.